The number of properties sold in June was the highest for the month in eight years. MONTREAL — The Greater Montreal Real Estate Board says area home sales increased by 10 per cent in June, driven by a hot condo market. There were 3,952 properties sold last month, the highest level for June in eight years. The data comes amid concerns that a 15 per cent foreign buyers' tax in the Greater Toronto Area could have a spillover effect on Canada's second-largest city. Quebec's finance minister has said he has no plans in the near term to introduce such a tax since foreigners accounted for only about 1.5 per cent of all Montreal-area sales in the first nine months of 2016, according to the Canada Mortgage Housing Corp.
Housing sales in June were aided by a 17 per cent increase in sales on the Island of Montreal. 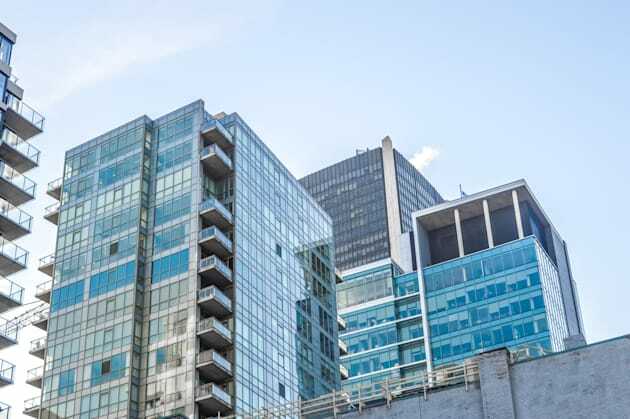 Condominium sales were up 20 per cent, marking a steady increase for a second consecutive month, while sales of single family homes rose four per cent. The average price of Montreal area homes was $362,207 for June, up six per cent from a year ago. The average price for single family homes rose nine per cent to $396,367.